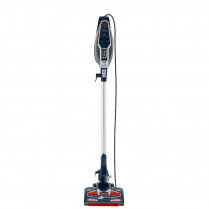 Join the Clean Evolution with a Shark Corded Stick Vacuum. EEnjoy the performance and cleaning function of an upright with the light weight comfort of a hand stick. Designed with you in mind, our hand stick easily converts to hand vacuum, so you don't have to compromise on versatility or run time.